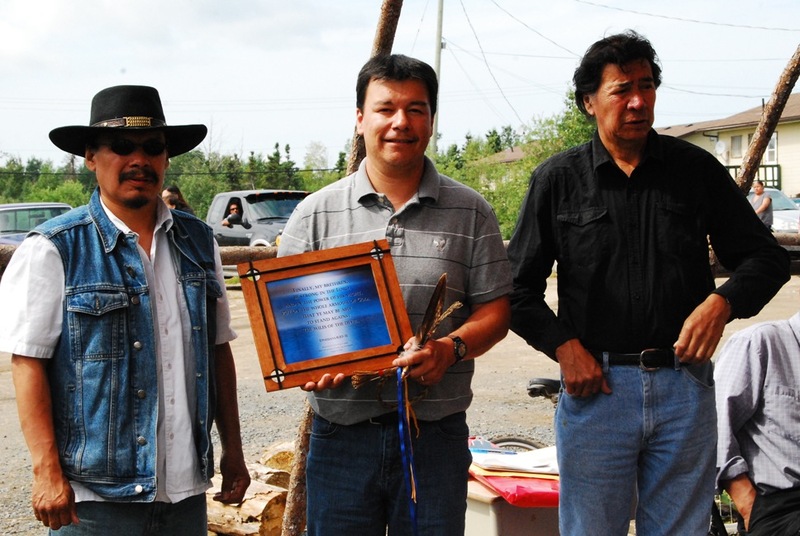 Community members presented the leadership of Sandy Lake First Nation with thanks and appreciation for their dedication to the community. 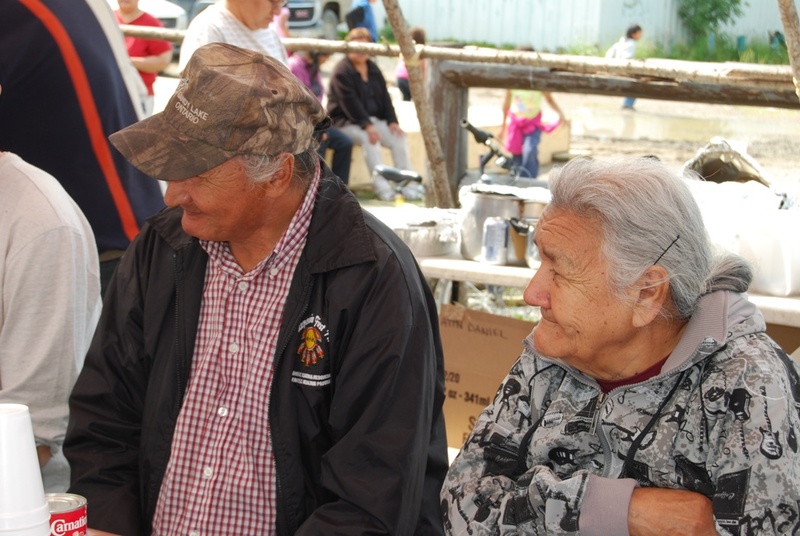 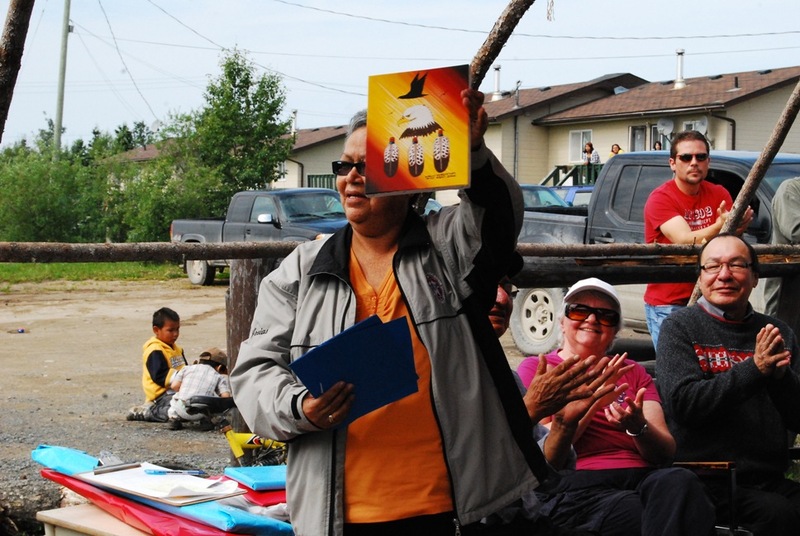 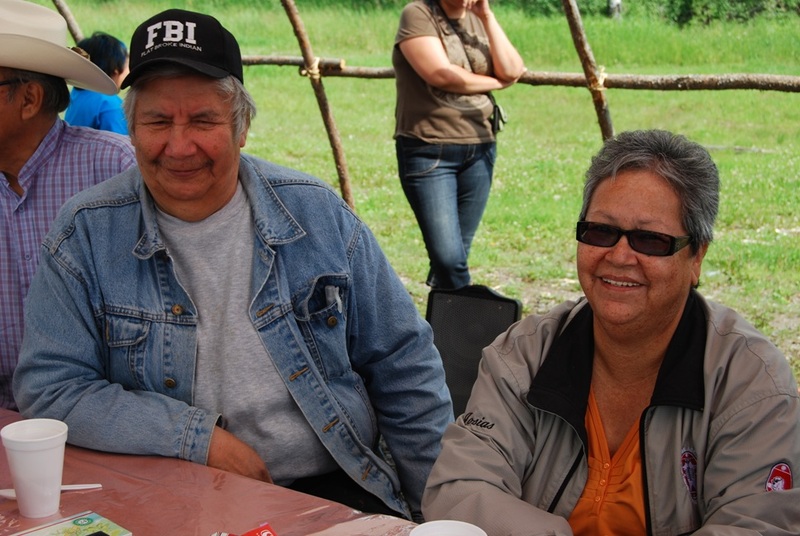 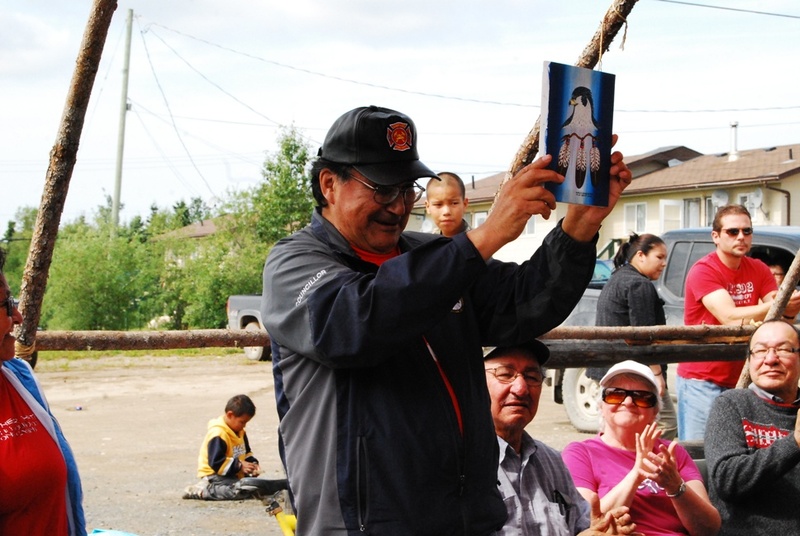 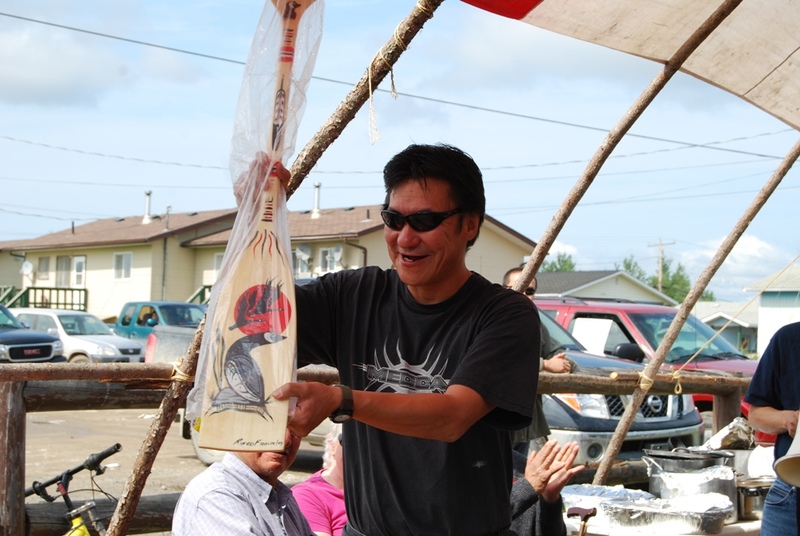 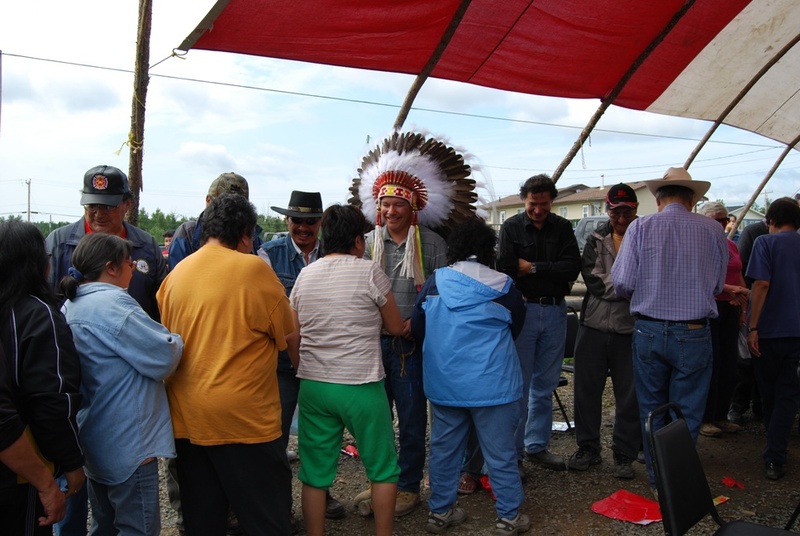 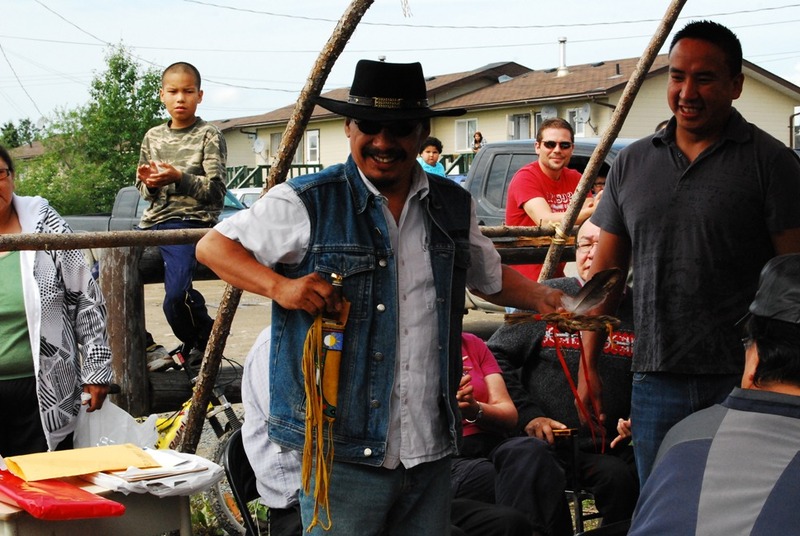 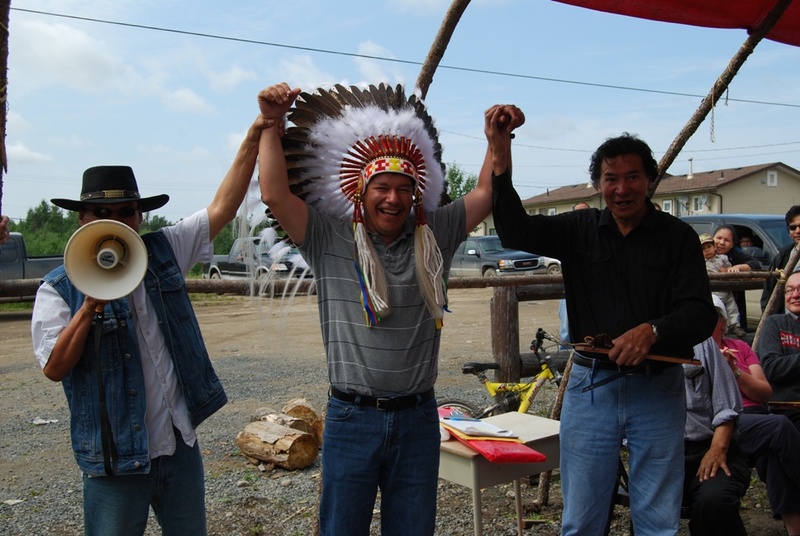 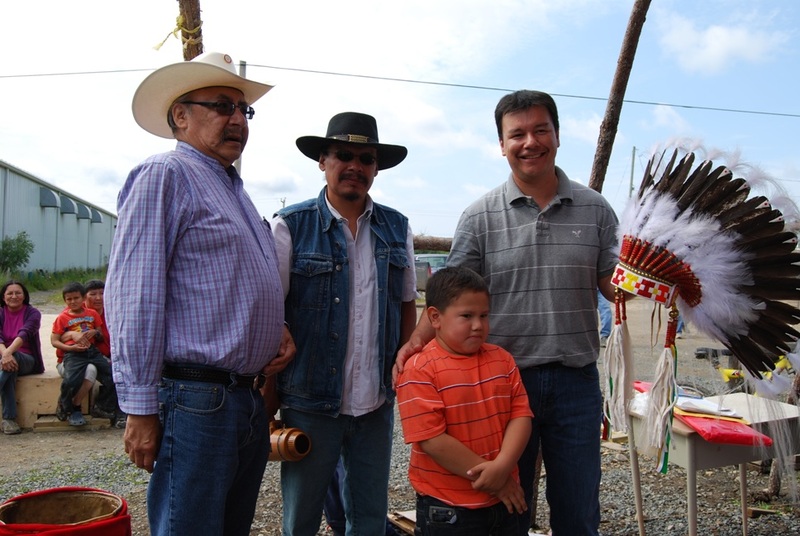 In an outdoor feast organized by community members, Chief and Council each received gifts as a token of appreciation, encouragement, and support. 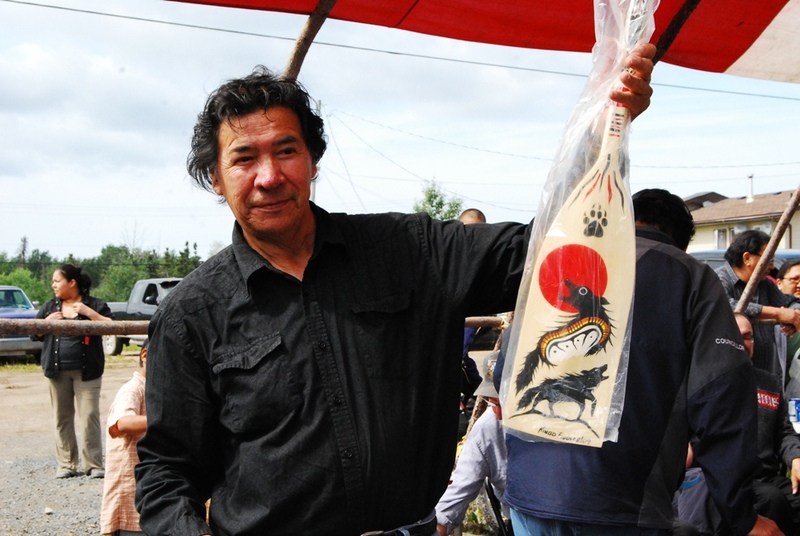 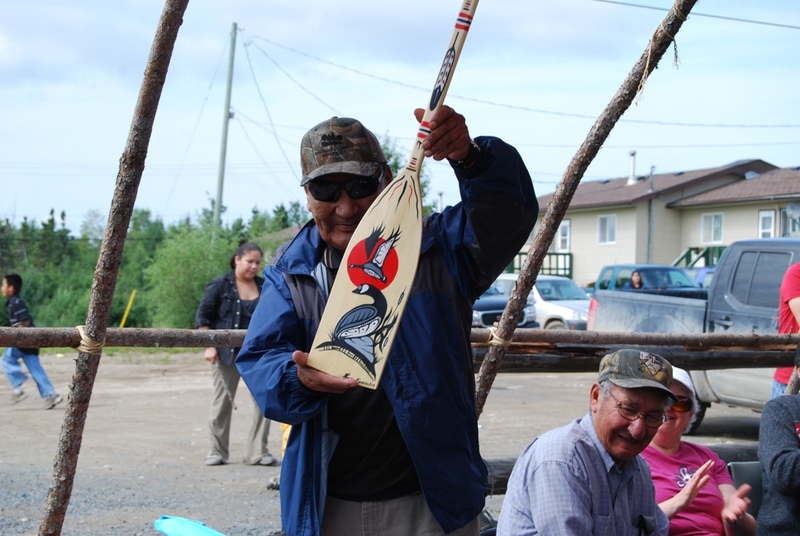 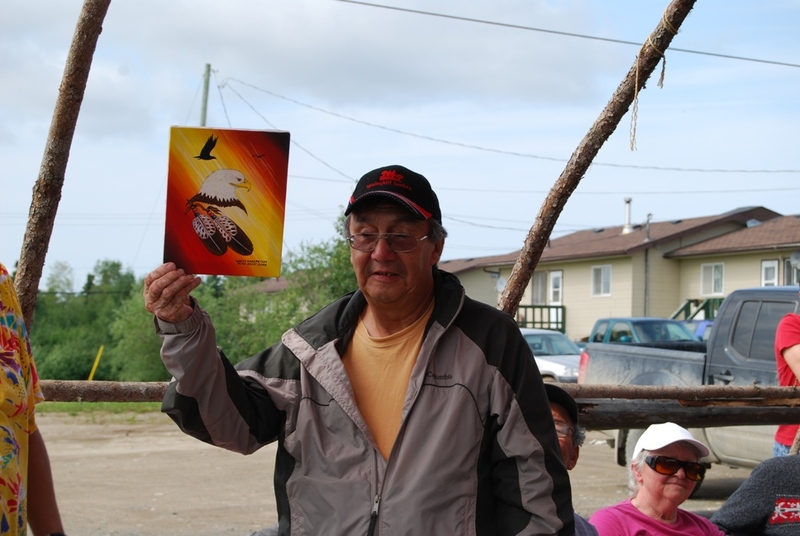 Councillors were given painted paddles and artwork by local artists. 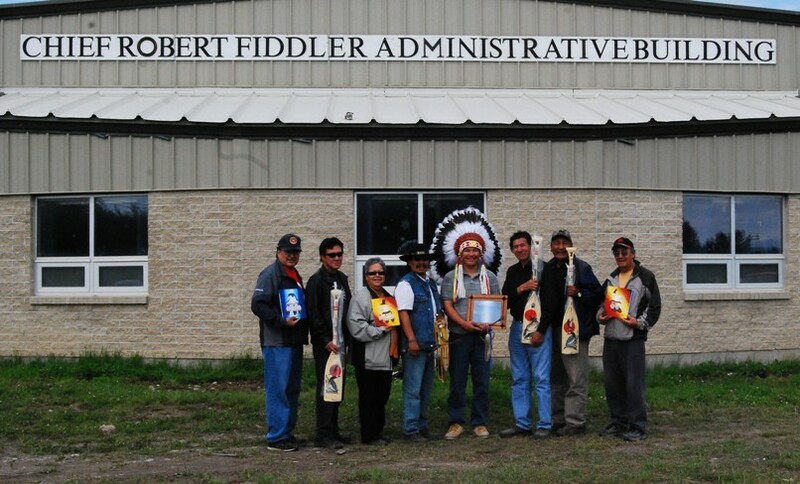 Deputy Chief Bart Meekis received a beaded leather knife case and knife. 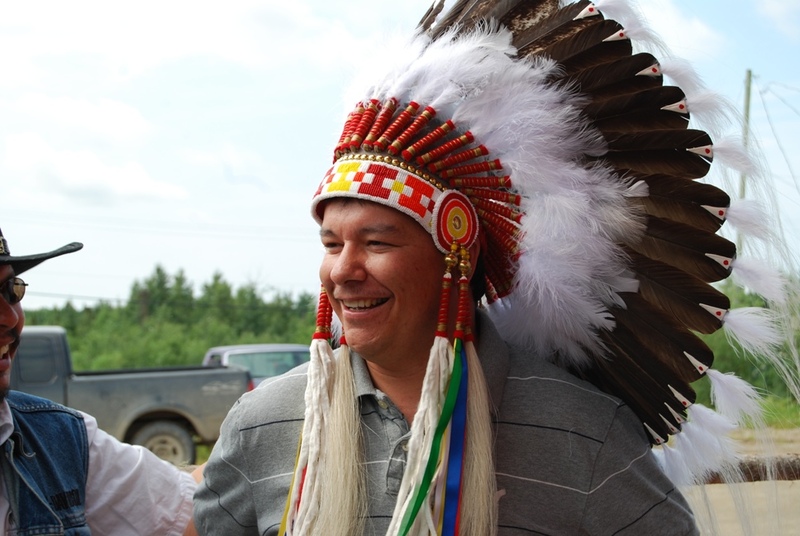 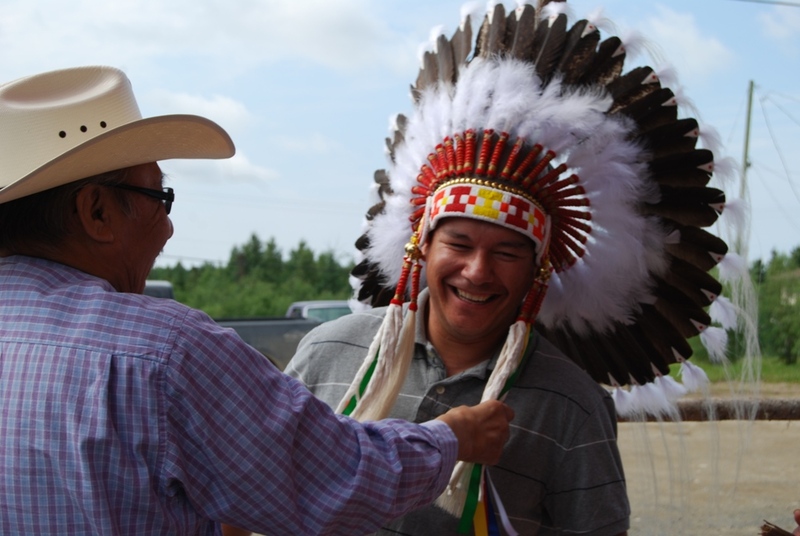 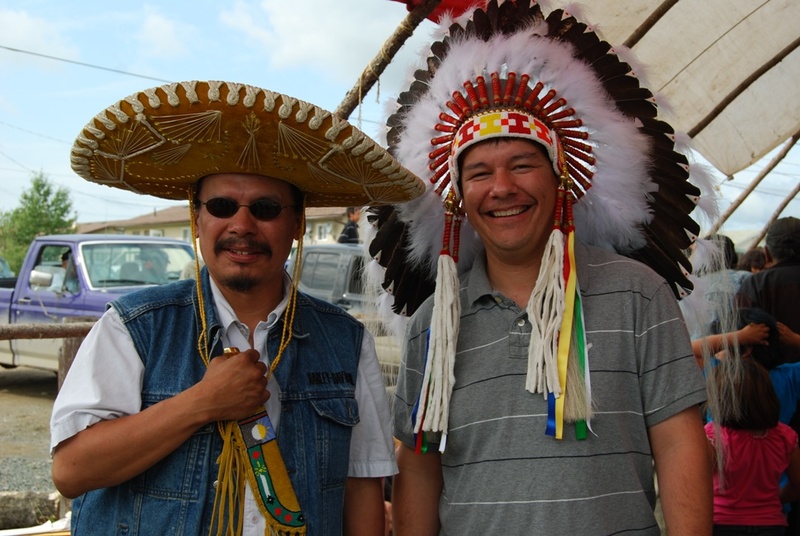 Chief Adam Fiddler was presented with a traditional head dress that was made in Saskatchewan. 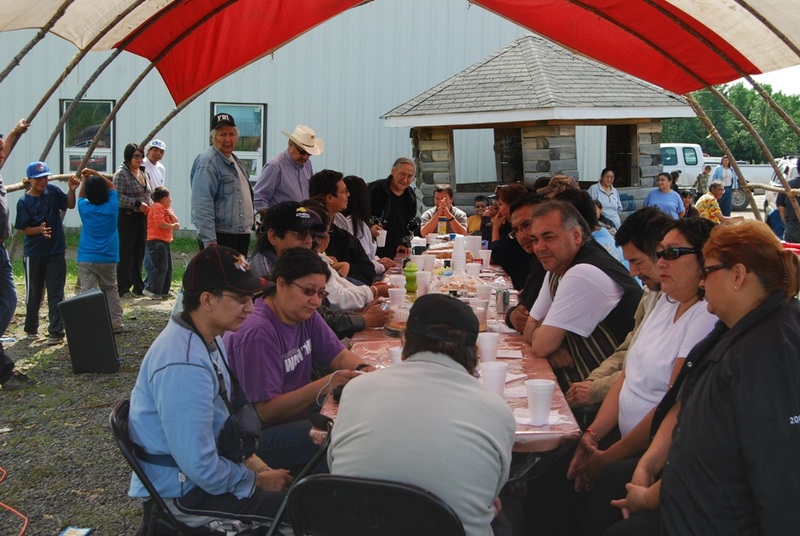 After the presentation, everyone enjoyed lunch that was prepared by the Long Term Care staff.